3D Configurator Sign-in - BRECOflex Co. NOTE: If using Microsoft Edge browser please disable SmartScreen Filter under Settings/Advanced Settings to enable downloads. 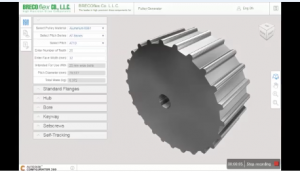 If you would like to register or learn more about the 3D Configurator and how it can assist you with designing custom pulleys and timing belts please click the registration button.